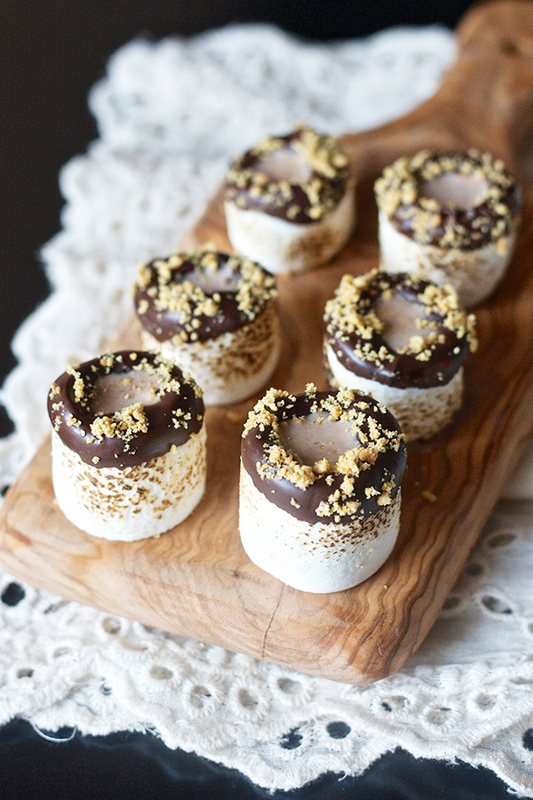 S’mores Marshmallow Shooter Recipe + a Home Tour! Today I’m getting to know Erica Pitera, the dentist and dessert blogger who has the cure for your sweet tooth! Erica shares her original recipes and baking creations over on her blog Erica’s Sweet Tooth. Not only is she giving us a tour of her home today, but she is also sharing her recipe for S’mores Marshmallow Shooters at the end of this post! Erica: Hi! 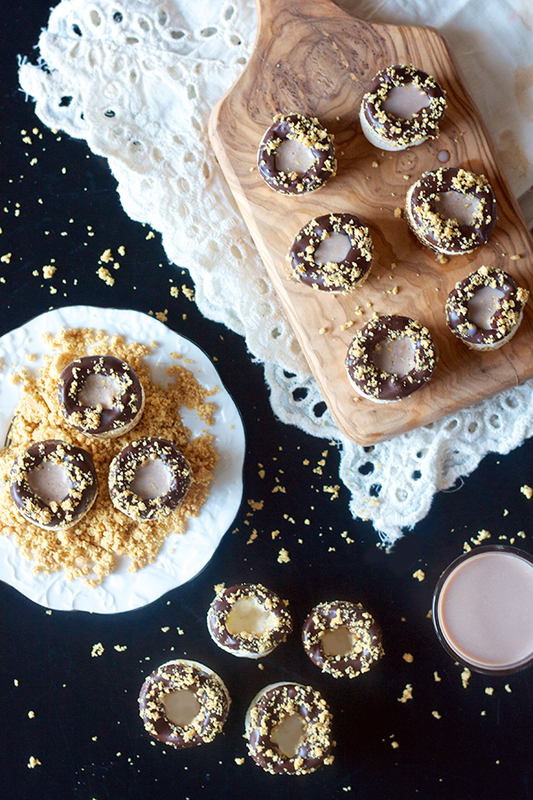 My name is Erica Pitera – I’m the Erica behind the dessert blog Erica’s Sweet Tooth. Baking and blogging, along with food styling and photography, are some of my favorite hobbies, but I actually spend my days as a pediatric dentist. The irony of being a dentist with an extreme sweet tooth is real, but I try to keep everything in moderation and brush and floss extremely regularly. I recently moved back to my home state of Connecticut after spending two years in New York City, and live here with my husband and official taste-tester Ryan and our adorable new puppy Piper. 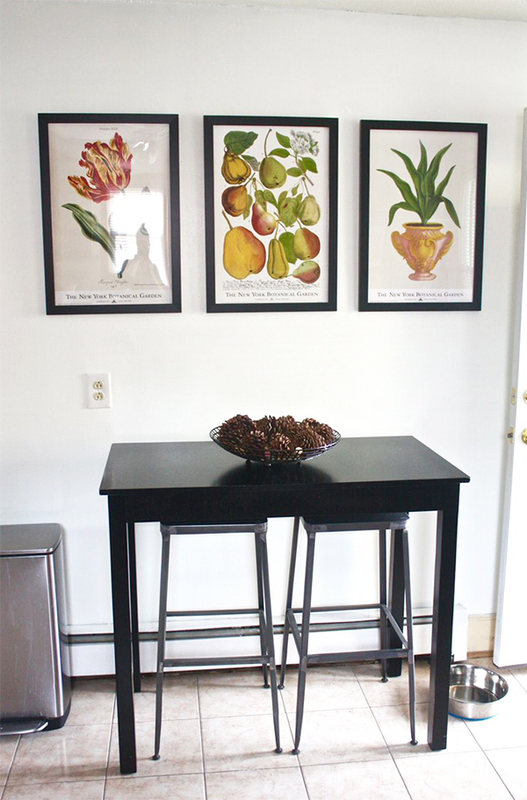 Erica: The easy answer for this question as a food blogger is the kitchen, but I actually love our living room most. Although the kitchen in this new rental house is more than quadruple the size of our NYC one, I’m not the biggest fan of the layout and we don’t have anywhere very comfortable to sit down in there. So I’m always drawn to the comfort of our big sectional and the surrounding decor that has developed from trips we’ve taken together. We have travel photos and antique maps, tons of wine corks, and special little mementos all displayed in our main room – how could it not be my favorite!? The space is screaming for a nice plush rug, but we’re waiting until Piper is fully potty trained before I’m allowed to indulge my interior decorating tendencies! Jacquin: Have you always been interested in baking? What is one of your earliest baking memories? Erica: I’ve always been creative and into arts and crafts, and since I love sweets so much, baking was a natural progression. It’s definitely my creative outlet, and baking allows you to play with your food and create beautiful and delicious things that make people so, so happy. I started loving baking blogs my senior year of college, and once I was in dental school and needed a way to de-stress, I started one of my own. Six years later, here we are! One of my earliest baking memories has to be making peanut butter cup blossoms around Christmas time every year. I got a cookie cookbook from my Aunt when I was young, tried the recipe on my own (with some adult supervision of course), and have been making them ever since. Jacquin: As a pediatric dentist, what is something most people don’t know about being a dentist. Any surprises about the career since you’ve been a working dentist? Erica: The staff or break rooms at dental offices are almost guaranteed to have an excessive amount of sweets stashed away. It’s crazy, but people who work in the dental field really tend to have more of a sweet tooth than the general population in my experience. I know tons of dentists and dental hygienists that are also very talented bakers, and I think it has a lot to do with the OCD/type-A personality that is conducive to both activities. Unlike cooking, baking is very precise, as is dentistry obviously, so you find the two interests together quite often! 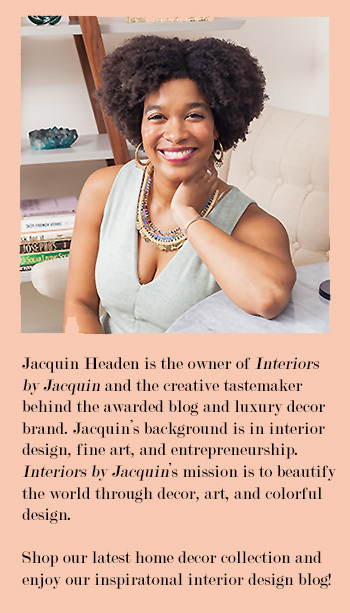 Jacquin: What has been inspiring you in life most recently? Erica: With a puppy in our little family now, I have a new focus in my day-to-day life, and it has forced me to slow down and simplify things. I don’t know if that’s “inspiring” necessarily, but now that I have responsibilities beyond myself, my job, and my blogging, I try to minimize my distractions when I’m home so I can spend as much time as possible with our furry daughter. Right up until we brought Piper home I was obsessing over the decor in our new home and meeting blogging deadlines (these NFL Jello Shots almost did me in! ), but now my priorities have shifted. I realize I’ve become a crazy puppy mom in the process, but I guess you could say I’ve been inspired by simpler recipes and minimalist decor in order to maximize my happiness. Jacquin: What is your favorite recipe to prepare when having friends and family over for a special get together? Erica: For a special get together, especially for a birthday party, I have a rule that it must involve cake. Cookies on their own, no matter how delicious, just aren’t celebratory enough for birthdays in my opinion. Everyone deserves a cake with candles on top! So my personal favorites are the cookie stack cakes (funfetti, caramelized banana, andm&m) I’ve made for friends and family members who love cookies, but need a cake to pass my birthday test. Use a strawberry huller, or just your clean fingertips, to remove the insides of the marshmallows. You don’t want to squeeze too deep into the marshmallow or you’ll tear through to the bottom of the marshmallow. Fingers or the end of a wooden spoon dipped in a bit of water helps even out the insides and makes things less sticky. I used a paring knife to smooth off the tops of the marshmallows once I was done. If you wish, set the marshmallow on top of a heatproof mug or bottle and lightly toast with a kitchen torch. Melt the chocolate chips in 30 second intervals in the microwave, stirring between each interval, until completely smooth. Dip the tops of the hollowed marshmallows in the melted chocolate, use a toothpick to make sure the opening is cleared, and set aside on a wax paper or parchment paper-lined cookie sheet. Sprinkle with graham cracker crumbs and allow to set completely. You can store these in the fridge for up to 2 days, but I recommend waiting to fill them until right before serving. Prepare the filling in a large cup, and then use a small cup with a spout or a plastic squeeze bottle to fill the marshmallows. Serve, gobble them up in one bite, and enjoy responsibly! This recipe for S’mores Marshmallow Shooters is perfect for your next party or holiday get together! For more great dessert recipes visit Erica’s Sweet Tooth blog. Stop by and let us know if you try this recipe!